It's official: you can be excited about Ghostbusters again. While some movies, like the Fast and Furious sequels that will be coming out long after I'm dead, feel inevitable, it seemed for a couple of decades there like the Ghostbusters franchise would be trapped in development hell like vodka in one of Dan Aykroyd’s crystal skulls. 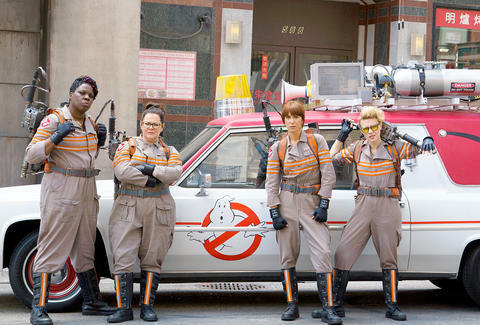 But Hollywood ain't afraid of no ghosts: the Paul Feig-directed reboot is nearly here. 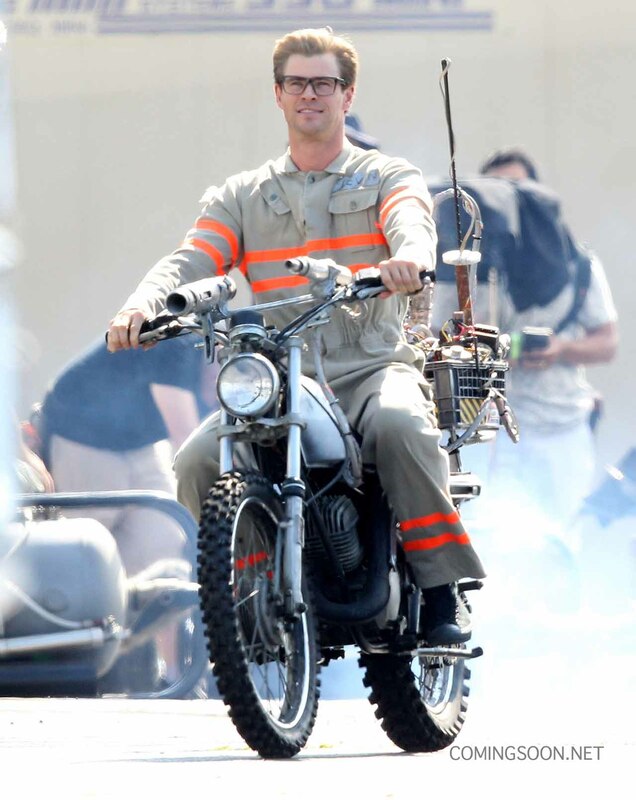 What do we know about the imaginatively titled Ghostbusters, arriving in theaters on July 15th, 2016? Pour yourself a glass of Ecto-Cooler and read on. Rumors of a third Ghostbusters movie have persisted since the mid-'90s, despite the middling critical reviews and box-office receipts Ghostbusters II racked up upon its 1989 release. But the road to Ghostbusters III was paved with false starts, incorrect casting rumors, and many passive-aggressive quotes about Bill Murray refusing to read scripts. In the intervening years, both Harold Ramis and original director Ivan Reitman have been linked to the project, with Ramis bringing aboard Office writers Gene Stupnitsky and Lee Eisenberg, who wrote his prehistoric Jack Black and Michael Cera comedy Year One, to put together a script. This was the script that everyone was trying to get Murray to read. In 2010, Murray absolutely ethered them in a GQ interview. "I never went to see Year One," he said. "But people who did, including other Ghostbusters, said it was one of the worst things they had ever seen in their lives. So that dream just vaporized." The movie focuses on a new set of Ghostbusters, played by Kristen Wiig (Bridesmaids), Melissa McCarthy (Spy), Kate McKinnon (SNL) and Leslie Jones (SNL). Here's a synopsis of the film, courtesy of the Boston Herald: "Wiig and McCarthy play a pair of unheralded authors who write a book positing that ghosts are real. Flash forward a few years and Wiig lands a prestigious teaching position at Columbia U... which is pretty sweet, until her book resurfaces and she is laughed out of academia. 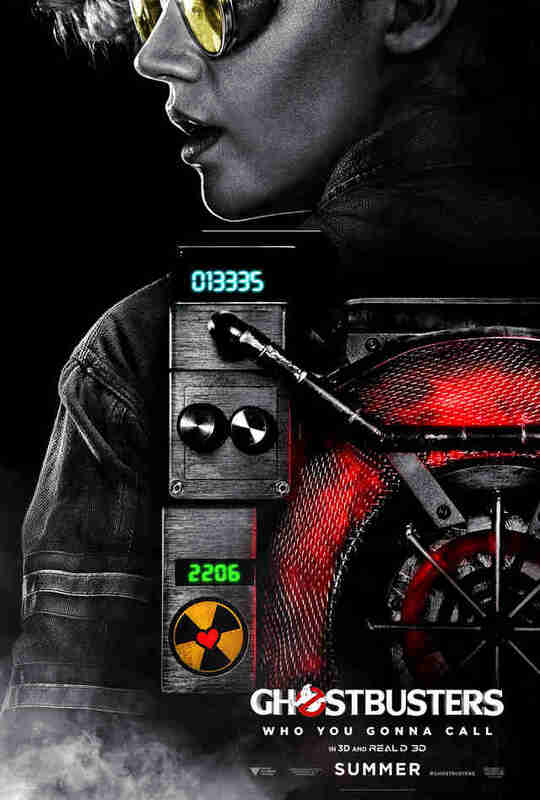 Wiig reunites with McCarthy and the other two proton pack-packing phantom wranglers, and she gets some sweet revenge when ghosts invade Manhattan and she and her team have to save the world." In addition to helming the movie, Paul Feig -- best-known as the co-creator of Freaks and Geeks and director of the successful comedies Bridesmaids, The Heat, and Spy (and lesser know as a 1980s character actor) -- co-wrote the script with Parks and Recreation writer Katie Dippold. "My favorite thing to do is work with funny women," Feig told Entertainment Weekly soon after he was announced as the director. "I was like, What if it was an all female cast? If they were all women? Suddenly, my mind kind of exploded: that would be really fun." "It's not coming into the world that existed before," explained Feig. "It's always hard if the world has gone through this big ghost attack, how do you do it again? I wanted to come into our world where there's talk of ghosts but they're not really credible, and so what would happen in our world if this happened today?" In other words, this is a reboot. 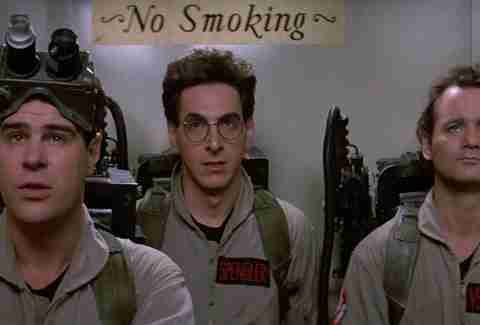 Though they likely won't be playing their old characters, some old Ghostbusters favorites have already filmed cameos. Dan Aykroyd did a bit as a taxi driver back in July. In August, Bill Murray finally agreed to make an appearance as well. 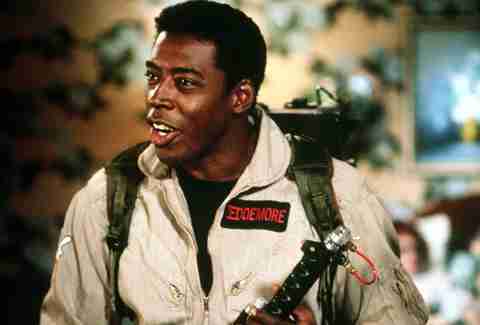 Ernie Hudson will be in it too! And Annie Potts! And, by the power of Zuul, Sigourney Weaver! The artist-formerly-known-as-Louis-Tully won’t be making a cameo appearance in the film. Is it because he’s retired? Not really -- he’s just picky. "I took a break, which turned into a longer break," he says in a recent Hollywood Reporter profile. "But I'm interested in anything that I would find interesting. I still get the occasional query about a film or television role and as soon as one comes along that piques my interest, I'll probably do it. [But Ghostbusters] didn't appeal to me." 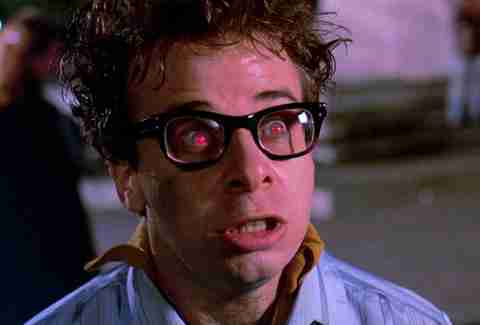 Rick Moranis rules. Ocean's Eleven baddie Andy Garcia will play the mayor of New York. Boardwalk Empire and The Wire stand-out Michael K. Williams has been cast as a character named Hawkins. Veep’s reliably hilarious Matt Walsh has a role as a guy named Rourke. Jones and McKinnon will be joined by their fellow-SNL cast mate Cecily Strong, while former SNL writer Neil Casey is the movie's main villain. And, oh yeah, NY1's own Pat Kiernan cameos as himself to add some gritty NYC authenticity to the proceedings. Oh, yeah -- Thor is also in it! Looking good on that bike, dude. Nothing too controversial to report here. You're probably gonna want the toy version. Did we mention there will be toys? Well, yeah, there are going to be a lot of toys. Now that the rumors are done, it's time for the promotion to really kick into overdrive. There are a bunch of posters that you can check out here. There hasn't been a trailer yet, but one should arrive soon -- maybe during the Super Bowl? Because it's 2016 and no movie can stand alone any more, there's already been a lot of talk about expanding the Ghostbusters cinematic universe. A proposed all-male Ghostbusters installment, possibly starring Channing Tatum and Chris Pratt and produced by Captain America: Winter Soldier directors the Russo Brothers, was revealed as part of the Sony hack. But that idea -- which gained some traction and legitimacy back in March, and which seemed oddly timed to play into the sexist backlash against Feig's all-female movie -- was unceremoniously quashed. Perhaps to combat these rumors, producer Ivan Reitman attempted clear the air a bit. "There has been a lot of excitement recently about what is happening with the Ghostbusters franchise," he explained in a statement. "As the producer of the new Ghostbusters film, I feel the need to clarify. There is only one new Ghostbusters movie and that is the Paul Feig directed version coming next July, presently filming and going fantastically. The rest is just noise." But there will probably be more Ghostbusters movies, right? Dan Jackson is a staff writer at Thrillist Entertainment and he is afraid of ghosts. He's on Twitter: @danielvjackson.